Welcome to our home! I just want to start off by thanking you for visiting. My wife and I have made such an effort to make our home beautiful and we hope you enjoy what we have to offer! We just started this page so bear with us as we build from the ground up. I'm Dylan...the handy one. Jaclyn's more of the decorator and makes sure our home always looks like it's a page out of a magazine. And I can't forget Rocky! Our little maltipoo who loves to watch us work! My plan is to make this page just a tad different than everything else you've seen. There are plenty of great sites out there who show you DIY for every day items, and some for larger projects. This site will be that and more. I will be showing the DIY to various projects I complete, whether it be the outdoor sofa I made from Ana White's 2x4 plan, or the laundry room I am about to complete for my wife. I will also be showing some of my infamous recipes on the grill and once it gets chillier out, in the oven. Jaclyn will be sharing her inspirations on decorating and the feeling she's going for, and how she plans each holiday as well. So kick your shoes off and make yourself at home! 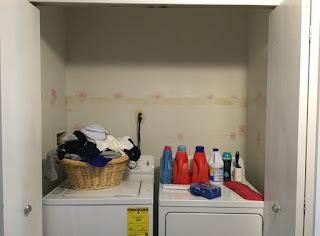 7/13/2015 DIY Laundry Area for UNDER $100! As you can see, nothing special. This is in our upstairs hallway right as you walk up the stairs, so if the doors are ever left open it's more of a sight for sore eyes than anything else. So I'm almost done and it will be fully completed by the weekend. The 9-5 and going to the gym takes up a lot of my weekday time...so check back and I will show you how I transformed this area from what you see above to more of a focal point for under $100!!! And best of all, it doesn't include hoping to find some random piece on Craigslist. This is something you could complete right away! 7/9/2015 The Back Deck "Oasis"
Since we're in the midst of summer, we just completed our back deck (finally!!!). Please check it out and leave any comments! DIY for items will be up shortly! 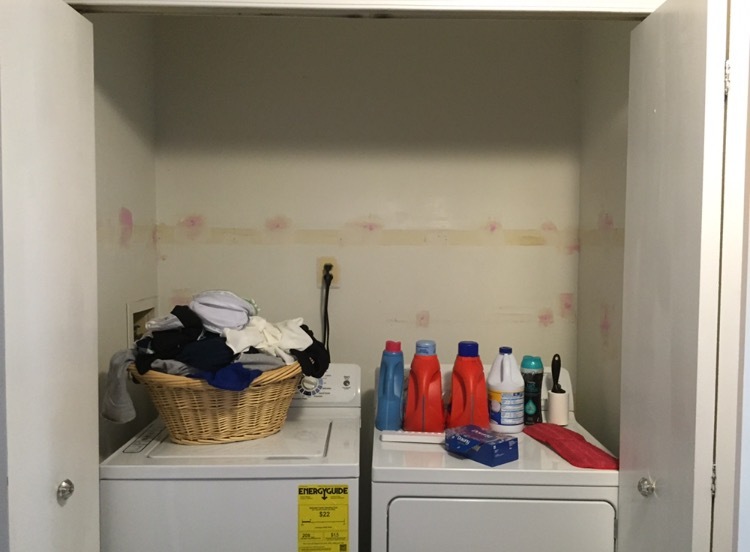 DIY Laundry Area for UNDER $100!